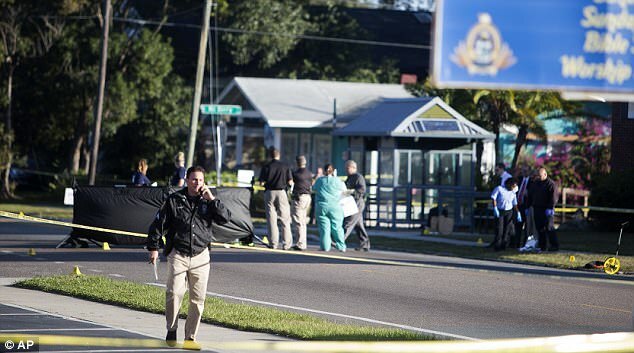 There’s a serial killer on the loose in Tampa Bay, Florida, with Police investigators believing that the most recent victim, a 60-year old man who was shot dead at 5am yesterday in the Seminole Heights neighbourhood, is the killer’s latest victim. Ronald Felton’s body was found after gunshots were heard in the early morning yesterday at around 4:51am, after three other fatal shootings also occurred last month in the same area. Police have encouraged residents to stay indoors whilst Police search for the suspect. Felton was crossing the street on the way to a homeless shelter where he volunteered at, when a man dressed in all black, came up behind him and shot him down. The similarity between the three murders by gunfire last month makes this a serial killer at large in the city of Tampa. The Police called a press conference at 8am, with Chief Brian Dugan, stating: “It’s very unfortunate here that we’ve had another one”. Mayor Bob Buckhorn added: “We will hunt this person down until we find them”. The Police have now locked down the area in a 1.5 by 1-mile area, believing the killer to still be within the vicinity, asking residents to stay indoors until an all clear is given. After the shooting, Steve Hagerty of the Tampa Police stated the following to the press: “We want to talk with as many people as we can, we don’t think whoever did this has gone very far at this point”. The Tampa Police Department are also asking for anyone with any information to come forward, asking all Tampa residents to check that all their owned guns are accounted for, otherwise, they should contact the Police immediately. This fourth murder, in relation to the other three victims, is that they were all done by gunfire, and occurred in the early hours of the morning, as opposed to nighttime. Police had earlier released a video of a suspect wearing a hoodie over his head, dressed in all black, as per this released CCTV image. The Police believe the killer is local to the area, and he may be hiding out in the neighbourhood after each murder. The suspect is described as a black male, 6ft to 6ft 2inches tall, as described to be seen running away from the previous killings. The first of which occurred on October 9th over ten day period, when Benjamin Mitchell, 22, was shot and killed. Two days later, Monica Hoffa, 32, was shot and killed, and lastly Anthony Naioba, who was shot dead after taking the wrong bus home from his new job. Mayor Buckhorn told Police last month to hunt the suspect down and “bring his head to me”, as these murders are causing fear in the community, where soon enough people will not feel safe anymore. Seminole Heights is a working class neighbourhood that is becoming more gentrified, with upper class restaurants and newly renovated homes sitting next to depleted one’s. Homeowners and residents have reported burglaries and fights breaking out in the area in the past, but nothing like this before. Indeed, there is a serial killer on the loose in Tampa Bay, and the Police are now offering a $41,000 reward for information leading to the murderer’s arrest. Let’s hope they catch him soon, before anymore more victims are claimed by this killer.